Most of us don’t seek advice or reach out to others for help very easily. In part, it’s because we’re conditioned to see life as an individual endeavor rather than a team sport. Or because we believe that asking for help makes us look weak or incapable. We regard self-help as by-yourself-help. News flash: no one in the history of the world has ever achieved any level of happiness or success totally by themselves. In his 1976 book The Long Run Solution, Joe Henderson suggested that becoming truly accomplished at running (or at anything) doesn’t typically require us to perform superhuman feats. In fact, success is frequently realized by those who simply do the things anyone can do that most of us never will. In What Anyone Can Do, with the help of Leo Bottary’s Year of the Peer podcasts guests (and playful illustrations by Ryan Foland), you’ll discover that if you surround yourself with the right people, you’ll do the things anyone can do far more often. And when you do that, you and the people around you will realize more of what you want out of business and life. It’s that simple. The Power of Peers (2016) made a strong case for how and why formal peer groups are so effective. This book steps outside the formal peer group arena to examine all the important relationships we have in our lives (parents, teachers, spouses, mentors, children, mentees, etc.) and provides a practical approach and specific framework for harnessing their power for your benefit (and theirs). It’s what anyone can do. You’re anyone, right? 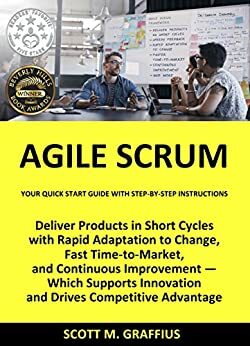 Agile Scrum: Your Quick Start Guide with Step-by-Step Instructions tackles project management in an approachable way that I found to be highly enlightening. How has your experience in project management helped you write this book? I am thankful for all of the disruptors, innovators, and visionaries who contributed to the colorful heritage of agile and Scrum. In particular, I thank Hirotaka Takeuchi and Ikujiro Nonaka. Scrum was modeled after their groundbreaking paper, “The New New Product Development Game,” published in the Harvard Business Review in 1986. My book was informed by their article and 115 additional sources—listed in the bibliography—along with my first-hand experience launching Scrum in organizations. I’m the Founder and CEO of Exceptional PPM and PMO Solutions, an Inc. Verified Business, which helps our clients achieve their business needs through world-class project leadership. I had the privilege to work with a client in a division of a global entertainment business on their successful journey for improved responsiveness to changing business needs, faster delivery speed, higher satisfaction, and continuous improvement—which made them even more competitive and fueled their growth. That fantastic agile transformation experience and result was the inspiration for my book. I thank that client. I also helped diverse organizations achieve their business needs through project management related services prior to Exceptional PPM and PMO Solutions. I’m a former vice president of a provider of diverse consumer products and services over the Internet including social networking and internet access. Before that, I worked in organizations with businesses ranging from advanced technology products and services to business services, retail, e-commerce, manufacturing, and entertainment. I have experience with consumer, business, reseller, government, and international customer markets, as well as international experience spanning 20 countries. In addition to hands-on experience, a deep understanding of project management (project, program, portfolio, and PMO management—inclusive of agile, traditional, and hybrid frameworks), engagements with professional associations, involvement with global standards, knowledge of leading practices, and professional credentials also shaped what and how information was presented in the book. Some examples follow. I have a bachelor’s degree in Psychology with a focus in Human Factors. I hold six certifications: Certified Scrum Professional (CSP), Certified ScrumMaster (CSM), Certified Scrum Product Owner (CSPO), Project Management Professional (PMP), IT Service Management Foundation (ITIL), and Lean Six Sigma Green Belt (LSSGB). And I’m proud to be a member of the Scrum Alliance, Project Management Institute (PMI), Institute of Electrical and Electronics Engineers (IEEE), IEEE Computer Society, IEEE Consumer Electronics Society, IEEE Broadcast Technology Society, IEEE Internet of Things Community, and the IEEE Consultants Network. I owe a tremendous debt to the technical editors: Chris Hare and Colin Giffen. Each offered insights that greatly improved Agile Scrum: Your Quick Start Guide with Step-by-Step Instructions. I thank them for helping to make this book more clear, consistent, and valuable. Agile Scrum is often used in technology projects, but do you think Agile Scrum can have a wider application? Shifting customer needs are common in today’s marketplace. Businesses must be adaptive and responsive to change while delivering an exceptional customer experience to be competitive. Traditional development and delivery frameworks are often ineffective. In contrast, Scrum is a value-driven agile approach which incorporates adjustments based on regular and repeated customer and stakeholder feedback. And Scrum’s built-in rapid response to change leads to substantial benefits such as fast time-to-market, higher satisfaction, and continuous improvement—which supports innovation and drives competitive advantage. Agile and Scrum were once the sole domain of software development. However, the benefits and results have not gone unnoticed by others. Practices are being adopted by additional departments and industries. The State of Scrum Report: 2017 Edition revealed that 21% of Scrum projects are run by departments outside of Technology such as Marketing, Finance, and Sales. And a New York Timesarticle in 2016—”The New Workplace is Agile, and Nonstop. Can You Keep Up?”—noted agile’s use in diverse industries. Examples ranged from a museum in Sydney, Australia, to an automobile dealership in Maine. Agile/Scrum is being used broadly. What is one common misconception you find people have about the Agile Scrum methodology? There are different frameworks supporting the development and delivery of products and services, and most methodologies fall into one of two broad categories: traditional or agile. Traditional practices (sometimes called waterfall) engage sequential development, while agile involves iterative and incremental deliverables. Organizations are increasingly embracing Scrum—the most popular agile framework—to manage projects, and best meet their business needs of rapid response to change, fast delivery speed, and more. There’s a widely-held view that agile is new. But agile was used decades before it became well-known. A few examples follow. Software was developed in half-day iterations in 1958 for Project Mercury, the United States’ first human spaceflight program. Harlan Mills of IBM promoted in 1968 that “software development should be done incrementally, in stages with continuous user participation and replanning.” In 1980, Tom Gilb introduced the Evolutionary Delivery Model, an incremental alternative to traditional development. While agile (which includes Scrum) is not new, many innovators and visionaries have advanced principles and practices over time. For those who would like to learn more, there’s a one-minute video—”Agile Has a Long and Colorful Heritage”—at https://vimeo.com/259429846. I have two works in the pipeline. Currently, however, there is no detail on content or publication dates for future books. Shifting customer needs are common in today’s marketplace. Businesses must be adaptive and responsive to change while delivering an exceptional customer experience to be competitive. There are a variety of frameworks supporting the development of products and services, and most methodologies fall into one of two broad categories: traditional or agile. Traditional practices such as waterfall engage sequential development, while agile involves iterative and incremental deliverables. Organizations are increasingly embracing agile to manage projects, and best meet their business needs of rapid response to change, fast delivery speed, and more. Agile Scrum is for those interested or involved in innovation, project management, product development, software development or technology management. It’s for those who have not yet used Scrum. It’s also for people already using Scrum, in roles such as Product Owners, Scrum Masters, Development Team members (business analysts, solution and system architects, designers, developers, testers, etc. ), customers, end users, agile coaches, executives, managers, and other stakeholders. For those already using Scrum, this guide can serve as a reference on practices for consideration and potential adaptation. Proper project management is essential in a business. The many moving parts need to be well oiled for a smooth ride. One therefore needs to be able to adapt to unpredictable changes in business. The traditional methodology of project management is sequential and focuses on predicting issues and having set ways to deal with them. The other project methodology is agile, which is a flexible, collaborative, and incremental process. This book is about an agile framework called scrum. The idea is to focus on making the team adaptive to change. The framework appreciates requirement volatility. This is the prevalence of customer wants and preferences to change. Scrum instills an understanding that changes cannot be fully understood or foreseen. Rather than try to predict and understand the changes, this framework prepares the team to appropriately deal with such changes. Agile scrum is more widely used in Software development but the author does a good job of generalizing it. Making it the go to framework for every project manager regardless of industry. The book highlights the versatility of scrum beautifully. The subject matter is a bit complex. However, Scott M. Graffius breaks it down into little chewable bits before delving deep into each, taking it apart grain by grain. This method is greatly useful as it makes a daunting ideology easy to take in and implement. With this book, one can expertly introduce scrum into their business environment and confidently tackle any hurdle. It outlines all the basics in simple language and prose. The book is also greatly useful for people who are already using scrum. It makes for an excellent reference material for those that are already scrum certified or are preparing to be. Using visual aids in addition to text greatly enhances the material. It makes for a more interactive and engaging experience. It makes the process of understanding the subject matter smoother for everyone whether beginner or veteran. Agile Scrum: Your Quick Start Guide with Step by Step Instructions offers a myriad of supplemental resources. Materials that one can use in addition to the book to better understand and use the scrum framework. It walks one through every step from vision to team formation to creating the product narrative up to release. Unlike other books on the market, this one offers an informal look at scrum without losing its practicality. The tone is conversational thus does not feel like a textbook, and provides numerous examples and insight into real world implementation of scrum. I would recommended this to anyone looking to change their project management framework or work out knots in their current system. Scott M. Graffius delivers an in depth understanding of the subject matter and instills the same in the reader. Just for kicks, have you ever wondered what your parents really want from you in life? Is it you, or do your parents want you to have no real fun? On any given day, do you want to make your parents proud of you and still do what makes you feel really happy within yourself? Of course you do! But the real question has always been, and still is…how? How can we actually get this done? Well, with A-C-T like a Kid and T-H-I-N-K like a Parent, a.k.a “the child-part consoler”, you will get past common misunderstandings by learning how to truly talk, hear, and listen to your parents, guardians or caregivers instead of feeling like you have to run to friends to find some sense of acceptance, understanding, and real connection. In this book, chock-full of questions and answers gotten directly from the source, you’ll learn what your parents, guardians or caregivers really expect of you—and maybe you’ll even find out how to explain to them what you really expect from them! Not that this book could ever replace a parent, because it can not. But when it comes to openly communicating certain key ideas, this book comes really close. What do my parents really want from me? Why do my parents do what they do and say what they say? What do I really need to know about my parents’ parenting skills? How can I keep my parents happy with me? How can I help my parents to help me? How can I get what I want from my parents every time? A-C-T like a Kid and T-H-I-N-K like a Parent is an intro to the secret knowledge of adults which is a set of informations that is mainly covered in the book entitled Surrogate Re-Parenting: A.K.A. Get Your Mind Right, and even more thoroughly covered in the book The Secret Knowledge Of Adults. While this book, A-C-T like a Kid and T-H-I-N-K like a Parent is intended for kids 10 and up, the info in this book is beneficial and useful to the intelligent kid parts in all of us. Yes, this means you too. The information in this book will help you and yours to start to see your parents, not as the enemy, but as the caring human beings they really are, and take the first step toward family unity, understanding, growth, success, and happiness! Both you and your parents really deserve this, and with this book, A-C-T like a Kid and T-H-I-N-K like a Parent, you and your parents can actually achieve this. 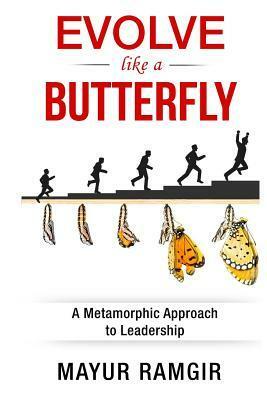 Evolve Like A Butterfly – A Metamorphic Approach to Leadership by Mayur Ramgir covers a broad spectrum of areas relevant to the task of a leader. Supported by illustrations and quotes, advice is given on risk taking, adapting to change, accepting feedback and good communication. It also looks at the conditions in which innovation, incubation and prototyping can occur. Ramgir reveals the secrets to motivating others whilst continuing on a path of self-development, and shares tips on creating a legacy through leadership succession. The book can be read cover to cover or dipped into as a reference guide for specific advice. The author engages the reader with a warm and welcoming tone from the start. He then describes his mother’s own leadership journey and invites us to consider the definition of a leader before we move on to more complex considerations. It is a useful resource for anyone starting out in leadership or those wishing to transition to a more ethical approach. The butterfly metaphor is used initially to good effect, although it is not evenly referenced throughout, it is revived at later points and thus not lost entirely. Hidden in the book are useful nuggets of advice which may not be found in your average book on leadership in business from a mainstream perspective. Ramgir emphasizes the importance of remaining connected empathetically to the work force so that there is less chance that this bond is severed in times of change or difficulty. He also looks at what areas of self development might be needed for a good leader; and points out how important it is to learn from one’s own failures whilst forging an individual path. The author suggests that ‘character’ is vital in order to lead an organisation or team through crises and adversity. However, he does not really flesh out what he means by the term which readers may understand in slightly different ways, in particular across cultural divides. Perhaps ‘tenacity’ or ‘staying power’ would be suitable descriptors of the qualities he intends to present. Ramgir does not shy away from offering solutions to challenging issues such as the potential pitfalls of moving from being a member of a peer group to leading those peers; or managing the ups and downs of different points in the business cycle and consideration of the timing of risk taking. While some sections seem to repeat themes such as communication and motivation, the additional detail reiterates the importance of these key skills in different contexts. This is a useful reader for students and established leaders in business as well as those concerned with social good; it is relevant across the private, third and public sectors. This book is an inspiring read and goes far in providing sound advice to current and emerging leaders. It is a recommended read for anyone passionate about safeguarding the future of the organisation and people with whom they work.